There has been a lot of research done on the sleep problems that have been plaguing many people in this country. Chronic sleep deprivation has been shown to significantly affect one’s health, performance, safety, and financial well-being. A lack of sleep, especially the quality of sleep, can lead to many things such as increased risk of heart disease, high blood pressure, diabetes, metabolic syndrome, and cancer. It also affects one’s immune system, leading to increased incidences of colds and illnesses. Obesity has been linked to a lack of sleep, and when one diets while physically tired, it’s been shown that your body is burning off muscle, not the fat you want to lose. 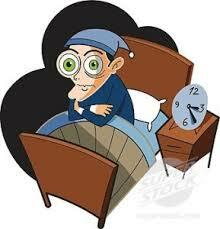 Lack of sleep alters hormone levels associated with appetite, and affects one’s mental and emotional health. Learning and memory consolidation research shows that a good night’s sleep after learning something will help you better retain the information. Research also showed that driving while exhausted is nearly as dangerous as driving drunk. The National Highway Traffic Safety Administration (NHTSA) estimates conservatively that each year drowsy driving is responsible for at least 100,000 automobile crashes, 71,000 injuries, and 1,550 fatalities. Why is it so hard for us to get restful sleep? Have you noticed that as the years go by, even though you may get seven or eight hours of sleep, you still wake up exhausted? There are a variety of factors that affect our ability to get a restful night’s sleep, from light emitted from our electrical hand-held devices, to worries about work projects or deadlines. The underlying cause is stress. Stress impacts us more than we realize and whenever there is anything unresolved mentally or emotionally, it prevents our parasympathetic nervous system from activating, which is responsible for cellular and body repair. Worries about a family member or disagreements among siblings, a parent, or a significant other impact us negatively as well. Our mind, expectations of how life ought to be, and our need to make sure that everything will be alright creates a low grade disturbance that keeps us in sympathetic mode, which is the fight or flight response. Our bodies stay activated and remain on yellow alert even though our eyes are closed. Can you relate to times in your life, where it was hard to get relaxed and drift off to sleep, because your mind was so active? Have you ever found yourself unsettled and restless, tossing and turning in bed because of having to make a decision or deal with an uncomfortable issue? Many times we will either put all of our energies into work, or exercise excessively, to the point of exhaustion, in order for us to crash and go to sleep. Being able to sleep peacefully starts from dealing with our daily stresses and addressing any past or current issues that bother us. Learn to acknowledge this stress and accept that by dealing with these stresses we can establish a new way to experience our lives. Make it a point to resolve any matter that creates a mental or emotional disturbance inside. The more harmonious our minds and feelings are, the more peace and ease we experience in our bodies. A settled mind will lead to a settled body. One simple exercise that can help prepare you for sleep is to place your hands on a part of your body that feels comfortable. Take eight to ten breaths into your hands staying focused on how your breath feels coming into your body and exiting your body. Be really present in the moment and with your body, and slowly but surely you will find yourself starting to be more at ease and drifting off to sleep. The power of being present with your body and in the moment insures that your mind does not get trapped in the past or projecting into the future. Hence, by staying in the “Now”, present moment is one of the secrets that help you to achieve peaceful and restful sleep.